We will register any domain name you desire, if your a business we can use under your business' name so your business will own the name outright. The cost will vary depending on the top-level domain required, for example a .com domain will cost £8.99 per year with a .co.uk domain costing just £1.99 per year. In addition to a Domain Name, Web Hosting will also be required. 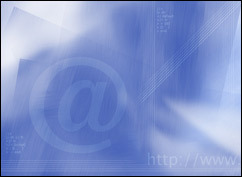 We can arrange a server to host the files needed for your website. At 4D Web Designs we can provide virtual hosting for your website, that is, your files would be stored on our server but linked by your own domain name. Alternatively, you may like to arrange the hosting yourself, if so we can assist you in anyway you require. Depending on budget we will normally purchase your domain at Moniker or eNom. As for hosting this depends on the importance of the website for your business. Low end solutions would be GoDaddy or 1&1 hosting moving up to higher end hosting such as Liquidweb, Softlayer and RackSpace. We can buy your domain name and server space on your behave if you want us to do this for you. Domain name registration prices are according to popular hosting companies, these prices may vary although were accurate at the time of writing. Please check their website for further information.